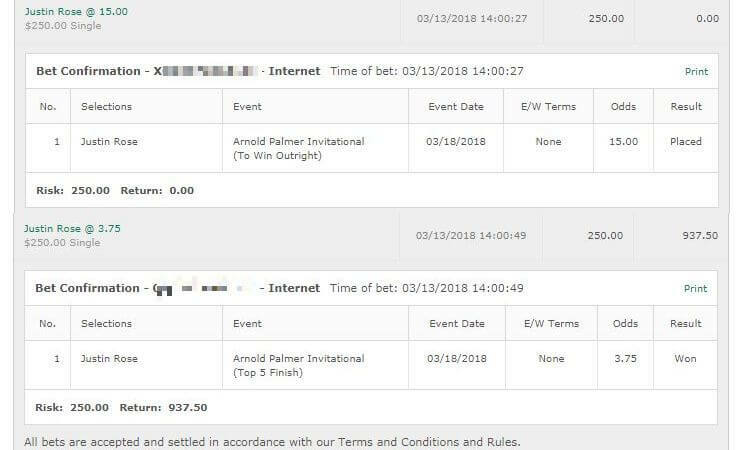 Very sorry for the lateness in tips this week just been a very busy week. In time for the World Cup I’ve been busy getting my Soccer Betting Tips website launched. The World Cup may end up keeping me busy for the next month so tips may be short for the next few weeks although with the Majors upcoming, probably not ha. Anyway last week was another close week that only had the one cash and that one had dead heat rules to bring it down unfortunately. Brooke Henderson pulled out of the LPGA tournament too and that was a shame. Looks like it was to go see her grandad who passed away – sorry to hear that. There’s things more important than sports or betting and that’s one of them. Due to time constraints there are no write-ups this week sorry. Henrik Stenson: I really hate picking him again but he does appear high in the metrics here. Ugh. 1/4 unit to win. The ludicrous price of DJ is enough to push Stensons odds to a point where I can JUST bet him. Will be interesting seeing what sort of a factor the shot clock rule has. Kinda neat they’re trying all this different stuff and seeing what takes. 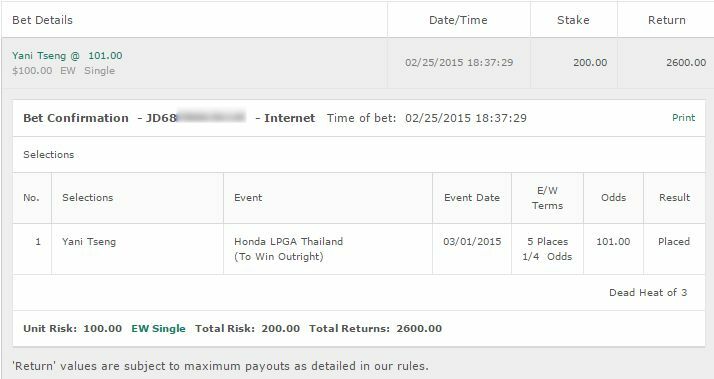 Brooke Henderson: 1/4 unit to win & E/W. 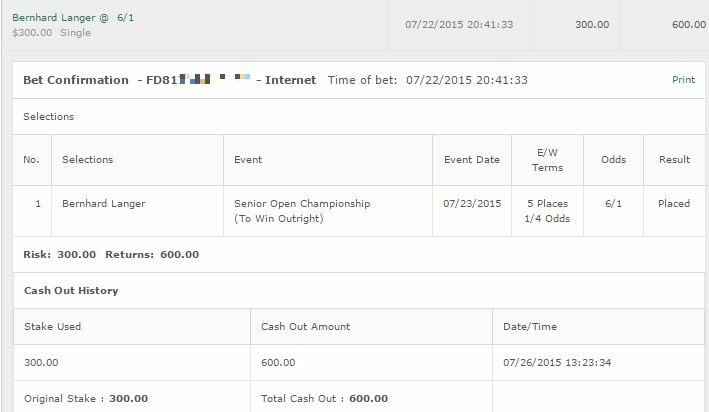 And this one probably ain’t going to go anywhere but 1/4 unit on Karrie Webb to win & E/W.